A community-led housing project, jointly developed by Trivselhus and TOWN reached an important milestone this week as construction got under way at Marmalade Lane, Orchard Park, Cambridge. The year-long building programme was kicked off on 26th June when members of K1 Cohousing put the first spade in the ground, marking the culmination of seven years of work to realise Cambridge’s first cohousing community. Marmalade Lane, christened with a nod to its historic links to the nearby Chivers jam factory, is due for completion in summer 2018. This is a development of 42 stylish Swedish-made, custom-designed homes with shared facilities designed to foster community spirit and sustainable living. Alongside private homes, residents will have the use of extensive shared gardens and a ‘common house’, with a children’s play room, guest bedrooms, laundry facilities and a large hall and kitchen for shared meals and parties. Construction gets off to a sweet start on Marmalade Lane as future residents presented the Coulson building team with marmalade cakes to wish them well. 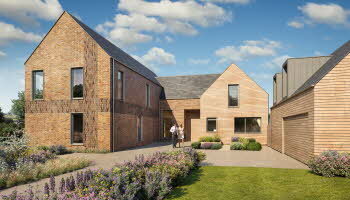 Cambridge City Council, which as landowner wanted to see the site developed for cohousing in an innovative way and as a new model for home ownership in the city, worked with K1 members and their advisor Instinctively Green to select joint developers Trivselhus and TOWN to deliver the project. 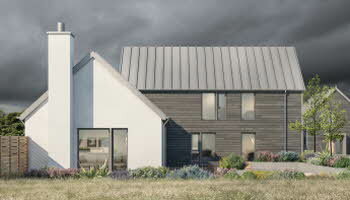 After working with future residents and a design team led by award-winning Cambridge-based practice Mole Architects to win planning permission in late 2016, Trivselhus and TOWN have hired local contractor Coulson Building Group to build the £8 million scheme. 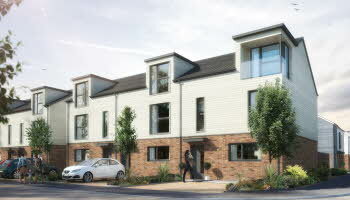 A small number of three and four bedroom houses are still available with prices starting from £452,500. Marketing of the two affordable homes will commence later in 2017. To find out more, visit www.marmaladelane.co.uk or call Jan Chadwick on 07986 107245.